Is Clarisonic good for acne? 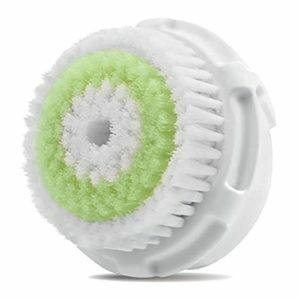 Should I clean my Clarisonic device? How often should I use Clarisonic? Does Clarisonic cause any side effects? 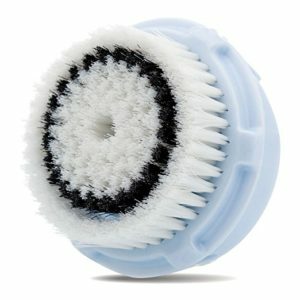 Which device and brush head should I buy? How Does Clarisonic Compare to Similar Treatments? 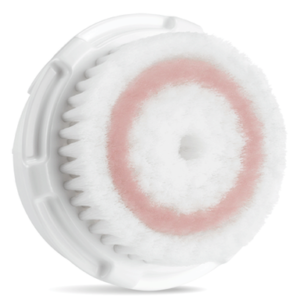 Clarisonic’s facial brushes provide a deep clean, but won’t necessarily make you look younger. The product line includes a wide variety of devices and brush heads, making it easy to find a good fit. If you’re experiencing side effects with your Clarisonic, you may not be using it correctly. 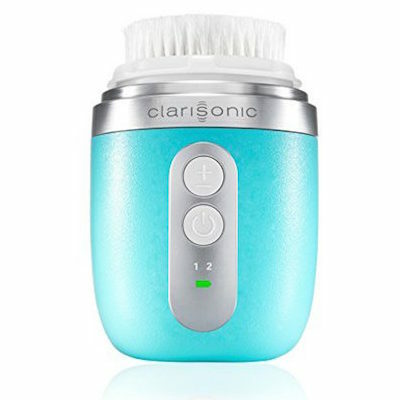 Clarisonic is a brush that uses sonic technology to provide your skin with a deep cleansing. It works on a similar principle as the sonic toothbrush, except instead of cleaning away food trapped between your teeth, it clears dirt and makeup out of your pores. According to its manufacturers, Pacific Bioscience Laboratories, this sonic cleansing system is gentle on the skin but still effective in clearing blemishes and reducing the appearance of fine lines and wrinkles. They make some pretty bold claims, and it’s not clear if Clarisonic really does all that’s promised. At the very least, however, it does seem to be an effective cleanser. Clarisonic is versatile. Users can choose from a variety of models and collect various brush heads that can be switched on and off of their device. These brush heads target different needs, from sensitive skin to deep cleaning. One Clarisonic model even includes a body brush attachment, allowing users to clean more than just their face. It’s all in the brush. 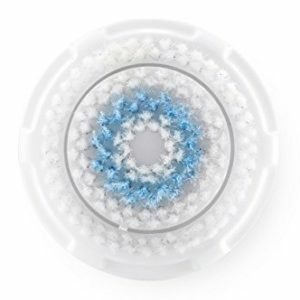 Clarisonic brushes are made from a soft, non-porous material that is resistant to bacteria. This helps it to remain gentle on the skin and keep clean between uses. When in use, the brush vibrates at a sonic frequency of approximately 300 movements per second. It’s important to note that the brush does not spin like many sonic toothbrushes. Rather, it oscillates, creating a gentle inward and outward motion, making it easier on the skin. As you apply the device to your skin, you will hear periodic “beeps.” This built-in timer guides you through the cleansing process. Expect to spend 20 seconds on your forehead, 20 seconds on your nose and chin, and 10 seconds on each cheek. As the Clarisonic works, it stimulates circulation in your face and gently clears away dirt and dead skin. In this way, it’s said to gently exfoliate. However, users report that washing away dead skin cells is more on par with natural everyday shedding and not true exfoliation. Clarisonic provides cleansers, except you don’t have to use these products. Instead you can use try any of your favorite skincare products alongside your Clarisonic device. In fact, with clearer pores, you may find your skincare products are more effective than they’ve been in the past. Once you’re finished using your device, you will need to recharge it. According to Pacific Bioscience Laboratories, the Clarisonic can be left plugged in all the time or charged as needed. You will need to let it charge for 24-hours prior to your first session. Clarisonic is not intended to treat any specific skin conditions. In other words, it’s not a medical solution to a medical problem. It simply gives your skin a deep and thorough cleansing, which is something anyone could benefit from. So if you’re concerned that your usual skin care routine isn’t leaving your skin clean enough, you may well benefit from Clarisonic. That being said, if you do have a skin concern like acne, scarring, or overly sensitive skin, you should consult with a dermatologist prior to trying out any deep cleaning skincare devices. This all depends on who you ask. 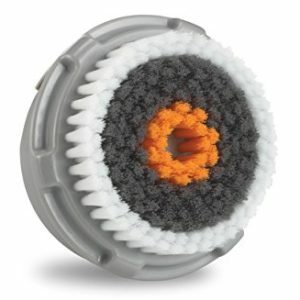 The manufacturer recommends replacing the brush head every 2-3 months, but what do you do in the meantime? Some people will tell you that the brush needs no real cleaning at all. After all, the cleansers that you use with it are effectively cleaning it all of the time, while the bristles are bacteria-resistant. Other people recommend cleaning it occasionally for the best results, and suggest using everything from shampoo and body wash to rubbing alcohol and dish soap. Whatever you do, keep the bristles as dry as possible between uses. Storing wet bristles in confined spaces encourages bacterial growth. Clean skin is clean skin. If used correctly, then one use with the Clarisonic device will yield clearer, and subsequently healthier, skin. Regular use of the device will continue to benefit skin as it continues to get healthier. Some secondary benefits may take more time. Cleaner skin with clearer pores will benefit more from other skincare products. In other words, that wrinkle cream or moisturizer you use in the evenings should be rendered more effective. Depending on the quality of the product in question, you should start seeing these secondary benefits within days or weeks of starting a regular Clarisonic skin cleansing routine. If you don’t, then it might be time to take a good hard look at the other products you’ve been using. This is more a matter of personal preference and just how much Clarisonic your skin can handle. The manufacturer says that you can use the device up to twice a day, and many people do. However, you’ll still see benefits from Clarisonic if you only use it once a day, or even just a few times a week. If you are only starting with the device or have been using it for some time and find that your skin is feeling irritated, then dial it back. Ease into the Clarisonic by starting to use it once a week and increasing sessions from there. It’s also worth noting that there may be such a thing as too clean, even when it comes to your skin. Don’t overdo it. It’s hard to imagine experiencing negative side effects from clean skin, but people have reported certain issues with Clarisonic. For starters, you might see an increase of pimples at first. This could be a natural part of the process or a sign that you’re using the device incorrectly, depending on who you ask. 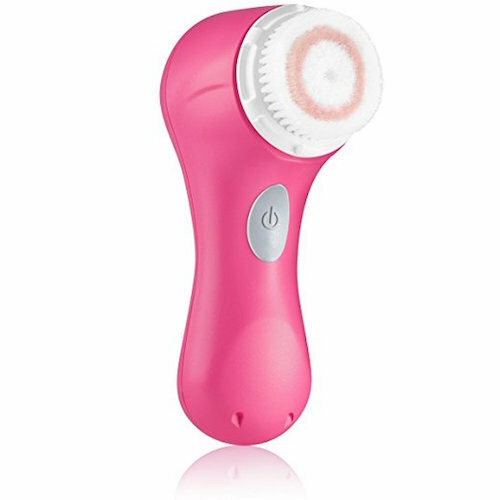 Some people say that the first few times you use the Clarisonic it frees up a lot of bacteria, bringing them to the skin’s surface where they form a zit — although continued deep cleansing should reverse that problem. Others suggest these pimples could be a sign you’re not cleaning your brush head thoroughly enough, or replacing it at the recommended intervals. Users sometimes also notice skin irritation, dryness, or redness. These are all signs that your sensitive skin is being over-stimulated by the device. You might be using the wrong brush head. 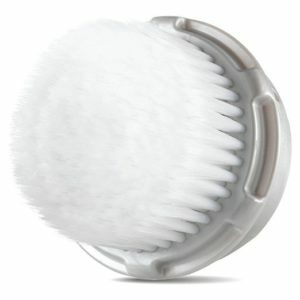 Clarisonic makes brush heads specifically for sensitive skin. This could also be a sign that you’re using the device too frequently or your sessions are too long. Dial back the number of sessions you do in a week and never do it more than twice daily. Also, make sure that you’re following the directions and not using the device on any one spot for too long. Remember, those “beep” sounds it makes are there to guide you. Finally, if you’re experiencing problems after starting with Clarisonic, pay attention to how hard you are pressing the brush head. You really shouldn’t have to press at all with the Clarisonic. Just gentle hold the brush to your skin. Using the Clarisonic may be easy, but figuring out which of the different models and brush heads is best for you might feel a tad overwhelming. In this section, we cover the most popular available models, how much they cost, and what makes them unique. We’ll also talk you through some of the available brush heads. The Clarisonic Mia is the most basic model. The Mia sells for $129 directly from the manufacturer. It has only one speed: universal. It also comes with one brush head: sonic radiance. You can purchase additional brush heads to attach to your Mia. At $169, this is a step up from the base model. The Mia 2 comes with 2 speeds: universal and delicate. It too comes with just the sonic radiance brush head. This device is both more compact and powerful than either Mia 1 or Mia 2. The Mia FIT comes with 2 speeds: delicate and power cleanse. It also comes with the sonic radiance brush. The Mia FIT retails for $219. This FIT device is also $219. So, what sets it apart from the Mia FIT? The Alpha FIT is specifically designed for men. According to the Clarisonic manufacturers, men’s thicker and oilier skin can make it uniquely difficult to keep clean. The Alpha FIT claims to be up to the task. This device has been discontinued. However, you may still see it floating around certain retailers, like Sephora. The Mia 3 comes with 3 speeds: universal, delicate, and powerful. It also originally came with an additional sensitive brush head, although third-party retailers may not include this feature. You’re also unlikely to get any kind of warranty with it. This is another discontinued product. 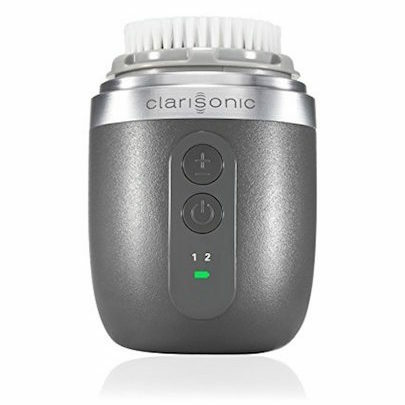 The Clarisonic Plus can sometimes be found at third party retailers (or used) at varying prices. It was unique in that it treated both the face and body. Again, as a discontinued product it won’t be covered under the Clarisonic warranty. This brush comes with most Clarisonic devices, but you can buy an extra for $27. It is versatile and works on any skin type. Also $27, this brush works on any skin type but is ideal for those with sensitive skin. This $32 brush is for all skin types. It claims to minimize the look of pores within a week and is generally a good balance between deep cleaning and gentleness. 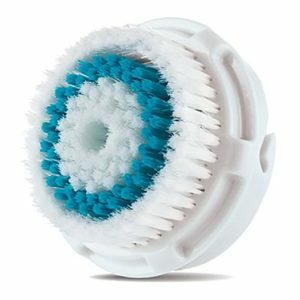 This $27 brush provides a particularly thorough clean for those with normal or oily skin. It is a good choice for those struggling with acne. If the deep pore cleansing brush isn’t doing the job, the $27 acne cleansing brush just might work. This brush should only be used on oily skin. 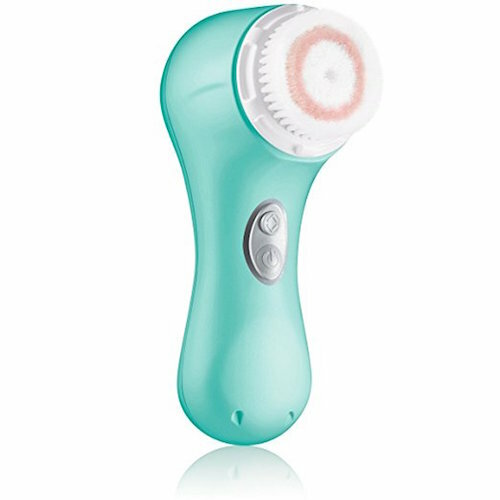 For those who have skin on the other end of the spectrum, there’s the $27 delicate cleansing brush that works best for dry skin. This $30 brush is more expensive than many of the others, but is the ideal choice for those with dry skin. This one is fairly straightforward. This $27 head is specially designed for men’s skin. It doesn’t have to be used with the Alpha FIT and will attach to any of the devices. If you’re still feeling a little overwhelmed, don’t worry. You don’t need the whole spectrum of possibilities to do right by your skin. Focus on a device and a brush head or two that suits your needs. It is possible to have cleaner, clearer skin for as little as $129. Simply put, whether a treatment or device is “worth it” is a balance between it’s effectiveness, invasiveness and cost. Are there treatments out there that will yield more startling results than Clarisonic? Yes. However, these treatments can be significantly more expensive or have downtime and side effects that make them unfeasible. In any case, it’s worth considering your options. This is especially true if you have specific skin concerns like acne or wrinkles. If you have stubborn or severe acne, consider Accutane. This intensive acne treatment takes a while to work and can come with unpleasant side effects, but many users have been extremely pleased with the results. » If, upon researching it further, Accutane sounds too intense for you, you can explore additional acne treatments on our forum or ask one of our doctors for more information here. Maybe you’re concerned about all of those fine lines and wrinkles on your face. Remember, Clarisonic only addresses these concerns indirectly. So you might want to consider a minimally invasive procedure like Botox for treating wrinkles. Botox injections do come with recovery time and a few potential minor side effects. However, most patients are very pleased with the effects of their Botox treatments. You could also explore noninvasive treatments like IPL Photofacials that use intense pulsed light to naturally tighten skin and stimulate collagen growth. » Want to find out which wrinkle treatment is ideal for you? Use our virtual consultation tool to discuss your options with multiple cosmetic doctors near you. If you’re concerned less with wrinkles and more with general blemishes, or if you’re simply interested in a deep cleanse to get your pores clear and your skin back to baseline, perhaps you should consider a peel. Laser peels and chemical peels both treat a wide variety of skin anomalies. In both cases, a layer of skin is essentially stripped away to renew and rejuvenate the complexion, making them master exfoliators. Along similar lines, you could also explore microdermabrasion. This procedure exfoliates the skin by essentially sanding it. It can be very abrasive, but very effective. » To find out if you’re a good candidate for any of the above treatments, head over to our forums, and ask a cosmetic doctor for their opinion. How do these procedures measure up to Clarisonic? Based on user reviews and Pacific Bioscience Laboratories own claims for their product, Clarisonic appears to be more about cleaning than making you look younger or hiding blemishes. On its own, it won’t be as effective as these other treatments at accomplishing their specific goals, with the possible exception of acne. That being said, there’s no reason to deny yourself some seriously clean skin, especially at such an affordable price.